Birçok gencin hayatını olumsuz yönde etkileyen siber zorbalık, en basit tanımıyla dijital teknoloji (internet, bilgisayar, tablet, cep telefonu) kullanılarak sosyal medya (Instagram, Facebook, Twitter, Linkedin, WhatsApp) aracılığıyla birisinin bir başkasına sanal olarak zorba davranışlarda bulunması demektir. Siber zorbalık yapan kişinin genel olarak amacı mesaj atarak karşısındaki kişiyi küçük düşürme, kıskandırma, korkutma, tehdit, taciz etme, moralini bozma, alay etme ya da aşağılama olarak sıralanabilir. Sonuçlarının farkında olarak ya da olmayarak yapılan siber zorbalık sağlık problemlerine yol açmaktadır. Arkadaşları tarafından siber zorbalığa uğrayan kişi, intihara kadar giden sonuçlarının yanında anksiyete bozukluğu, kaygı, güven eksikliği ya da depresyon gibi davranış bozuklukları yaşayabilmektedir. Siber zorbalığa uğrayan kişinin okul, aile ve arkadaş çevresi etkileyen bu durum okul yönetimi, sağlık kuruluşları ve veliler tarafından önemli bir konu olarak ele alınmalı ve konu hakkında gençler bilinlendirilmelidir. Siber zorbalıkla ilgili Amerika ve Avrupa ülkelerinde ciddi çalışmalar yapılırken Türkiye’de konuya yeteri kadar önem verilmediği görülmektedir. Çalışmada, bilinçli ya da bilinçsiz olarak yapılan siber zorbalığın önemine, ne kadar ciddi bir sorun olduğuna ve çeşitlerine yapılan araştırmalardan örnek verilerek anlatılmaya çalışılmıştır. Cyberbullying, which adversely affects the lives of many young people, means that someone virtually bully others who uses digital technology (internet, computer, tablet, mobile phone) through social media (Instagram, Facebook, Twitter, Linkedin, WhatsApp). The general purpose of cyberbullying is humiliating, harassing, mocking, moralizing, threatening, abusing through text messages. Cyber ​bullying with or without awareness of its consequences leads to health problems.The person who suffers from cyberbullying by his friends may experience behavioral disorders such as anxiety disorder, decreased self-esteem or depression in addition to the consequences of suicide. This situation which affects the school, family and friend relationship of the cyberbullied person should be considered as an important issue by the school management, health institutions and parents and young people should be warned about the subject. While serious studies are carried out in American and European countries regarding cyberbullying, Turkey is seen not given enough attention to the issue. In this study, it has been tried to explain the importance of cyberbullying, which is done consciously or unconsciously, by giving an example from the researches about the serious problem and its types. Baştürk, Akca/ Sayımer, İdil: “Siber Zorbalık Kavramı, Türleri ve İlişkili Olduğu Faktörler: Mevcut Araştırmalar Üzerinden Bir Değerlendirme”. Academic Journal of Information Technology 8 (30), 2017, pp. 2-20. Bilgi Teknolojileri ve İletişim Kurumu (BTK): Çocuklarimiz Için Olumlu Her Çalişmaya Destek Vereceğiz, retrieved 07.06. 2018, from https://www.btk.gov.tr/haberler/cocuklarimiz-icin-olumlu-her-calismaya-destek-verecegiz. Calvete, Esther/ Orue, Izaskun/Estévez, Ana/ Villardón, Lourdes/Padilla, Patricia: “Cyberbullying in adolescents: Modalities and aggressors’ profile”. Computers in Human Behavior, 26, 2010, pp. 1128–1135. Cowie, Helen: “Cyberbullying and its impact on young people’s emotional health and well-being”. The Psychiatrist, 37 (5), 2013, pp. 167-170.Dehue, Francine/ Bolman, Catherine/Völlink, Trijntje: “Cyberbullying: Youngsters’ experiences and parental perception”. Cyberpsychology and Behavior. 11 (2), 2008, pp. 217-223. Department for Children, Schools and Families (DCSF): Cyberbullying: Safe to Learn: Embedding anti-bullying work in schools, 2007. Erden, İbrahim Okan: “Lise Öğrencilerinin Siber Zorbalık Davranışlarına İlişkin Okul Yöneticilerinin Görüşleri”, Online Journal of Technology Addiction & Cyberbullying 4(1), 2017, pp. 1-26.Eroğlu, Yüksel/ Aktepe, Evrim/Akbaba, Sırrı/ Işık, Adem/ Özkorumak, Evrim: “Siber zorbalık ve mağduriyetin yaygınlığının ve risk faktörlerinin incelenmesi”. Eğitim ve Bilim 40 (177), 2015, pp. 93–107.EU Kids Online: EU Kids Online: findings, methods, recommendations, LSE Publishing 2014.Fiske, John (trans Süleyman İrvan): İletişim Çalışmalarına Giriş. Bilim ve Sanat Yayınları: Ankara 2003. Güngör, Nazife: İletişim Kuramlar Yaklaşımlar. Siyasal Kitabevi: Ankara 2016.Hawker, S. J. David/ Boulton, J. Michael: “Twenty years’ research on peer victimization and psychological maladjustment: A metaanalysis review of cross-sectional studies”. Journal of Child Psychology and Psychiatry 41(4), 2000, pp. 441–445. Hinduja, Sameer/ Patchin, W. Justin: “Cyberbullying: An exploratory analysis of factors related to offending and victimization”. Deviant Behavior 29(2), 2008, pp. 129-156. Hinduja, Sameer/ Patchin, W. Justin: “Bullying, cyberbullying, and suicide”. Archives of Suicide Research, 14, 2010, pp. 206–221. Hinduja, Sameer/ Patchin, W. Justin: Cyberbullying: Identification, Prevention, & Response, Cyberbullying Research Center, 2014, retrieved 09.07.2018, from www.cyberbullying.us. Juvonen, Jaana/ Gross, F. Elisheva: “Extending Extending the School Grounds? Bullying Experiences in Cyberspace. Journal of School Health 78 (9), 2008, pp. 496-505. Keyton, Joann: Communication and organizational culture: A key to understanding work experience. Sage Thousand Oaks, CA 2011. Kowalski, M.Robin/Limber, P.Susan: “Electronic Bullying among Middle School Students”. Journal of Adolescent Health 41, 2007, pp. 22-30. Lenhart, Amanda: Cyberbullying and Online Teens, retrieved 03.05.2018, from http://www.pewinternet. org/pdfs/PIP%20Cyberbullying%20Memo. PdfLi, Qing: “Cyberbullying in Schools: A Research of Gender Differences”. School Psychology International 27, 2006, pp.157-170. Lindfors, L. Pirjo/ Kaltiala-Heino, Riittakerttu/ Rimpelä, H. Arja: “Cyberbullying among Finnish adolescents – A population-based Study”. BMC Public Health 12, 2012, p. 1027. Marsh, Louise/ McGee, Rob/ Nada-Raja, Shyamala/ Williams, Sheila: “Brief report: Text bullying and traditional bullying among New Zealand secondary school students”. Journal of Adolescence, 33, 2009, pp. 237–240. Menesini, Ersilia/ Nocentini, Annalaura: “Cyberbullying definition and measurement: Some critical considerations”. Journal of Psychology 217(4), 2009, pp. 230-232. Mclean, Susan: “Cyberbullying”. Victoria State Government: Department of Education and Training, 2013. Milli Eğitim Bakanlığı (MEB): Siber Zorbalık Eğitici Eğitimi, retrieved 03.06.2018, from http://istanbul.meb.gov.tr/www/siber-zorbalik-egitici-egitimi/icerik/1839, 2018a. Milli Eğitim Bakanlığı (MEB): Siber Güvenlik ve Sosyal Medyanın Doğru Kullanımı Çalıştayı-2 Yapıldı, retrieved 02.07.2018, from http://istanbul.meb.gov.tr/www/siber-guvenlik-ve-sosyal-medyanin-dogru-kullanimi-calistayi-2-yapildi/icerik/1771, 2018b. Nocentini, Annalaura/ Calmaestra, Juan/ Schultze-Krumbholz, Anja/ Scheithauer, Herbert/ Ortega-Ruiz, Rosario/ Menesini, Ersilia: “Cyberbullying: Labels, Behaviours and Definition in Three European Countries”. Australian Journal of Guidance & Counselling, 20 (2), 2010, pp. 129-142. Norton Cyberbullying Guide: Cyberbullying. 2018. Olweus, Dan: Aggression in the schools. Bullies and whipping boys, Hemisphere Press (Wiley): Washington, DC 1978. Olweus, Dan: “Sweden”. In: Smith P. K., Junger-Tas, Josine, Morita, Yohji, Catalano, Richard, Slee, Phillip, Olweus Dan (eds. ), The nature of school bullying: A cross-national perspective. Routledge: London & New York 1999, pp. 7-28. Patchin, W. Justin/ Hinduja, Sameer: “Bullies Move Beyond The Schoolyard”. Youth Violence and Juvenile Justice, 4 (2), 2006, pp. 148-169. Pozza, Virginia Dalla/ Di Pietro, Anna/ Morel, Sophie/ Psaila, Emma: Cyberbullyıng Among Young People. Directorate General for Internal Policies Policy Department C: Citizens' Rights and Constitutional Affairs Civil Liberties, Justice and Home Affairs. European Parliament's Committee on Civil Liberties, Justice and Home Affairs 2016. Rigby, Ken: Bullying in schools, and what to do about it. Jessica Kingsley: London 1997.Patchin, W. Justin/ Hinduja, Sameer: “Bullies move beyond the schoolyard: A preliminary look at cyberbullying”. Youth Violence and Juvenile Justice 4(2), 2006, pp. 148–169. Patchin, W. Justin/ Hinduja, Sameer: “Cyberbullying: An exploratory analysis of factors related to offending and victimization”. Deviant Behavior, 29(2), 2008, pp. 129–156. Public Health England: Cyberbullying: An analysis of data from the Health Behaviour in School-aged Children (HBSC) survey for England, London 2014. Willard, Nancy: Cyberbullying and cyber threats: Responding to the challenge of online social cruelty, threats, and distress. Champaign, IL: Research Press 2006. ISNAD Özdemir, Özlem . "CYBER BULLYING AS A VIRTUAL THREAT AMONG YOUTH". 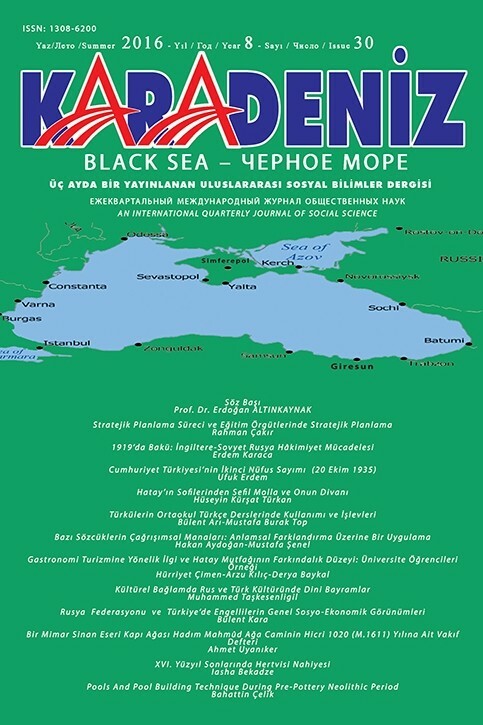 Karadeniz Uluslararası Bilimsel Dergi / 41 (March 2019): 80-91.